We are looking at going to Anguilla in September (the off season) for our honeymoon. Do you know if any of the restaurants are still open or do they all close? Nori's Reply: David, after Anguilla's carnival in August, the island really shuts down. Most hotels and resorts close, a lot of restaurants take a few months off, most local spots stay open, and a few other restaurants and resorts, but September may not be the best time to experience Anguilla. The Anguilla weather in September is less desirable too. 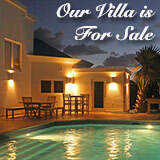 Of course, that is not to say that you wouldn't have a lovely Anguilla vacation. I have known many visitors to travel to Anguilla in September and enjoy every second of their vacation! They love the much more low-key vibe. For more on traveling to Anguilla in the off-season, here's our guide to summer vacations in Anguilla. My husband and I have only visited Anguilla once. I fell in love with the island and the people. Have been dying to get back. We are planning a trip this summer! Last time we went was August 22nd through August 29th. Many of the Anguilla restaurants were closed. We were told it was the slow season and many owners took the opportunity to vacation themselves or just take some time off. This visit I would like to avoid the slow season as to experience as many different restaurants as possible. Can you tell me when exactly the slow season begins and ends? Nori's Reply: Anguilla's off season usually begins at the beginning of May, lasting until mid November. 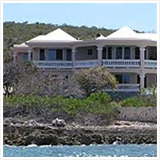 Anguilla resorts and Anguilla hotels cut their rates significantly and many great deals can be arranged. From May until mid-end August most Anguilla restaurants are open. Talk about a great time to visit the Caribbean! The water is warm, the beaches are quiet, you share restaurants with a handful of other guests. 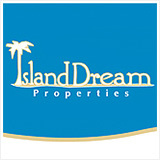 It's so peaceful and a fraction of what it costs to travel to the Caribbean during the high season. Many Anguilla resorts and Anguilla restaurants close at the end of August, after Anguilla's Carnival (usually the first 2 weeks of August), and generally stay closed all of September and most of October. Things start picking up again at the end of October, almost all restaurants and resorts being open again mid-end November. For more information on traveling to Anguilla in the off season, please click here. First I would say that I love your Anguilla site. I was just looking around and stumbled upon your site and reading your wonderful site has helped me make up my mind to visit Anguilla. I am looking at visiting Anguilla from Toronto at the end of April, and the question would be is April too much Anguilla's off season? Are restaurants and shops still open at that time or are they more or less packed up? I am looking at staying at the CuisinArt resort, and need advice if the Anguilla weather is still sunny at this time of year (as I read May is stormy season) or is it too close to May? Also, will I get the full Anguilla experience or will this Island be deserted by the end of April? Just a little concerned after reading that after Easter things start shutting down? Just like to know to what degree? Nori's Reply: Thank you for your kind words, Daniel. Anguilla in April is not the Anguilla off-season you are describing. ;-) The island only truly quiets right down in September, lasting until October. You can read an Anguila guide to September and October, here. Summer is also a nice time to visit the island. 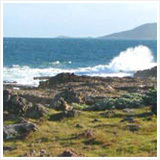 Most restaurnts and hotels are open, and the island is very peaceful with far less travelers than in the winter. The weather is mostly sunny and very warm, the waters are still. It does tend to be a bit cloudier and rainier, depending on the type of summer. The weather is warmer, but still not as hot as summer, and sunnier too. The water is also more still than in Winter. 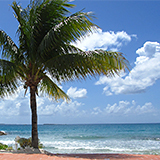 Click here to read about Anguilla weather in April. All in all, Anguilla in April is not the true off-season yet, and far from Hurricane Season. You will be able to experience a quieter Anguilla, Anguilla at its best in April! I will be traveling to Anguilla for my honeymoon in August. Are most Anguilla restaurants still open this time of year? 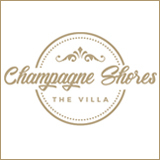 We're hoping to check out many of the spots mentioned in your blog, especially Blanchards after reading the book. Any information you have would be appreciated! 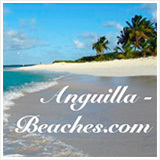 Your blog is wonderful and has really helped us plan for our trip to Anguilla! Hi, your blog is quite helpful. Do you have a list of restaurants open/closed in September? Is it even worth coming to the island in September in your opinion? I am considering traveling to Anguilla for 10 nights in September. I've heard that the island basically shuts down during that month and I'm wondering if it is even worth coming then. I would enjoy the lack of crowds, and I'm not too concerned about hurricanes, I just don't want the place to be completely deserted. I'm not interested in shopping, so I don't care if stores are closed, and I'd mostly like the snorkel, which I imagine I could do on my own if I could get around the island sufficiently well during that time. Nori's Reply: I am glad to hear that the threat of hurricanes hasn't deterred you, Anne! ;-) Your chances of experiencing a hurricane certainly do increase if you are traveling to Anguilla in September and October. More of a concern than hurricanes though, is plain old bad weather. Surely, there will be sunny days, but the weather tends to be cloudier, rainier and much "stickier" in September. Click here to read about Anguilla weather in September. To your second point about the island being completely deserted... My parents say that September is pretty close to being just that! ;-) Many locals take their holiday at this time. So, most Anguilla hotels and restaurants are closed. A few spots do remain open. But, more and more travelers are starting to visit Anguilla in the off-season. You will be able to snorkel freely, without almost anyone else in sight. And you will certainly be able to get around the island! For a guide to visiting Anguilla in September, click here. We are booked for a trip to Anguilla, staying at the Allamanda Beach Club for the first week of November. Will Anguilla restaurants, bars and other attractions be open or is the island pretty much closed up at that point? 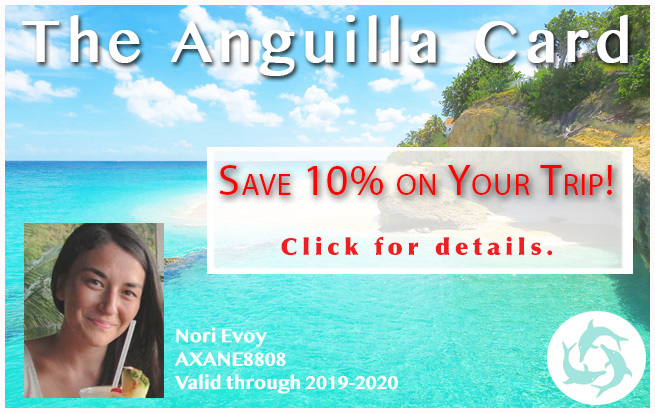 Thanks so much, I love your Anguilla newsletter! Oh, and is there a place where you can swim with dolphins? We'll have our ten year old son with us and are looking for fun things to do with him. Also, are there any Anguilla sailboats available for day rentals that we could sail ourselves? Nori's Reply: Lisa, thank you so much for your kind words. November is one of the best times of the year to travel to Anguilla. The season is just starting to gear up for the holiday season (Christmas in December), so most Anguilla restaurants and bars are open, the island livening up again after hurricane season. The best part? The weather is mild, similar to December weather but for a fraction of the cost! 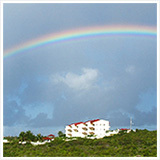 Anguilla hotel rates are still low in November. There aren't any swimming with the dolphin facilities in Anguilla. But your son would enjoy Anguilla sailing! 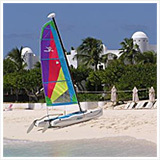 You can rent Anguilla sail boats from the Anguilla Youth Sailing Association located in the calm harbor, Sandy Ground. Sailing a Hobie Cat gently around Road Bay (Sandy Ground) is a blissful experience! 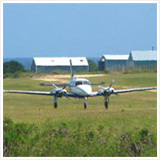 More info on off-season travel to Anguilla? Here's more on summer and off-season vacations in Anguilla.